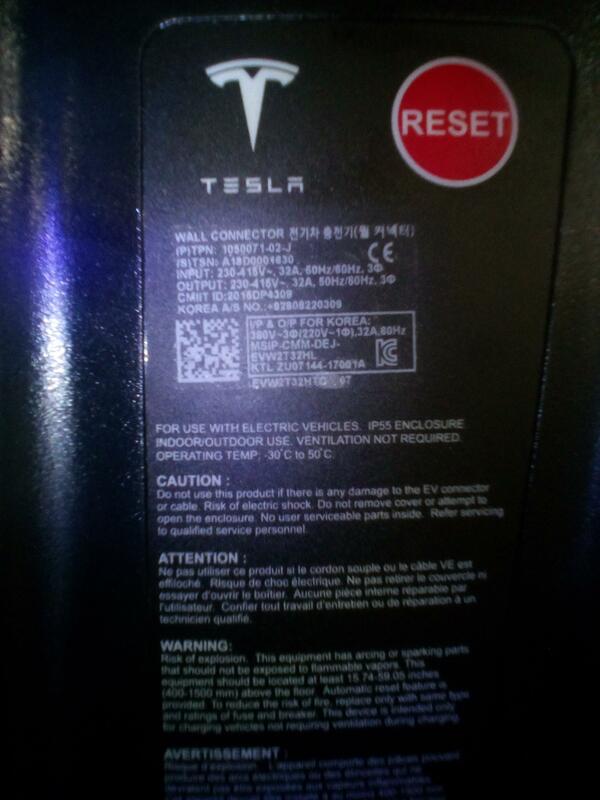 Is anybody charging their non-Tesla EV (j1772) from a Tesla wall charger using a Tesla Tap or similar adaptor? It works in the USA but does it work in Australia? I also found the JDaptor Stub but they state "Only for cars sold in North America and Japan! 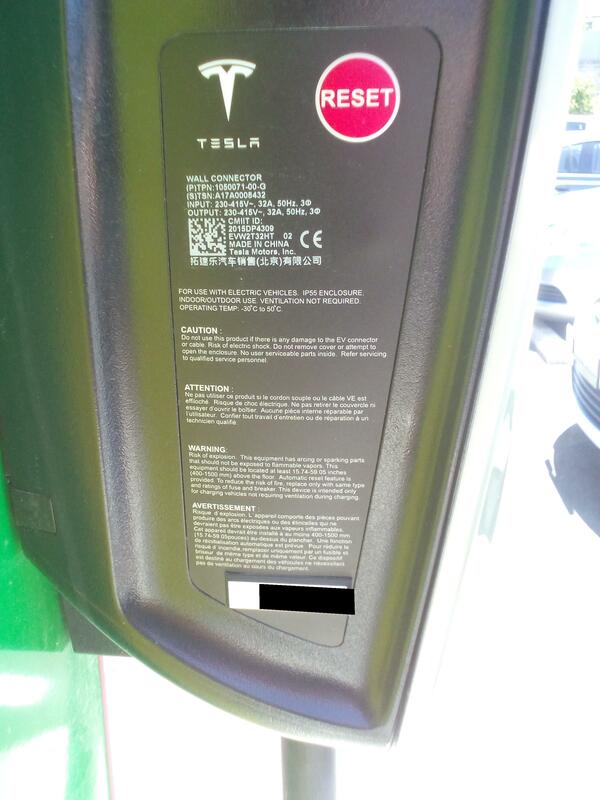 JDapter Stub does NOT work in Europe, Australia or New Zealand"
I am finding it hard to find a level 2 charger 7.6kw outside Sydney using Chargepoint or Plugshare to charge my BMWi3 but there are Tesla chargers everywhere. Last edited by lopezjm2001 on Sun, 23 Sep 2018, 08:22, edited 3 times in total. Most type 2 to type 1 adapters will work with the Tesla destination chargers. The answer is a qualified yes with a modified Type 2 to Type 1 adaptor but it's complicated. 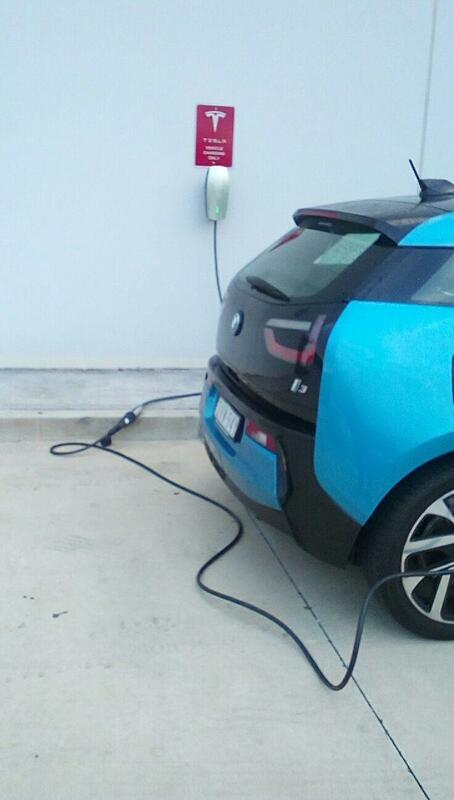 Assuming by your Avatar you have a BMW i3 then for most Tesla charging stations you can use a Type 2 to Type 1 adaptor but it must have the Type 2 end shortened otherwise the pins will not connect as a regular Type 2 to Type 1 adaptor is designed to plug into a charging station not into a Type 2 tethered cable. From memory it needs to be 11mm shorter. There are some commercial type 2 to type 1 adaptors that already have this shortened Type 2 end. The three phase Tesla charging stations also implement a different communications protocol. This usually works for i3's but Mitsubishi's don't work with it. There is an internal dip switch in the Tesla wall connector that sets it to a legacy mode and it behaves like a standard Type 2 station and should work with all J1772 signalling compliant vehicles in this mode. A further complication occurs with single phase Tesla charging stations. They actually split the single phase power and apply it across all three live pins in Type 2 plug (to feed Tesla's three onboard chargers). So their 40A single phase wall connector puts ~13.3A down each live connector. Plugging in a BMW i3 and a type 2 to type 1 adaptor it will attempt to draw 30A down just one live wire. This is likely to trigger the Tesla destination charger to stop or worse, damage the single phase station (I've never tested this though). Thanks for the info. I have bought a type 2 to type 1 adapter cable 32A from EVSE Australia. I have cut off 11mm from the face of the type 2 plug using a battery 4 in handheld grinder with a cutting disk whilst the plug was held in a bench vice. Finished it to make a flat face with a linisher. Used a knife to cut out the plastic edges to form reams. That brought the end of the pins within 2mm from the face. I noticed that the type 2 plug has a 220 ohm resistor from PP pin to earth pin. I assume this value tells the charger station that the EVSE is limited to 32A. Will test it soon and let you guys know if it works. 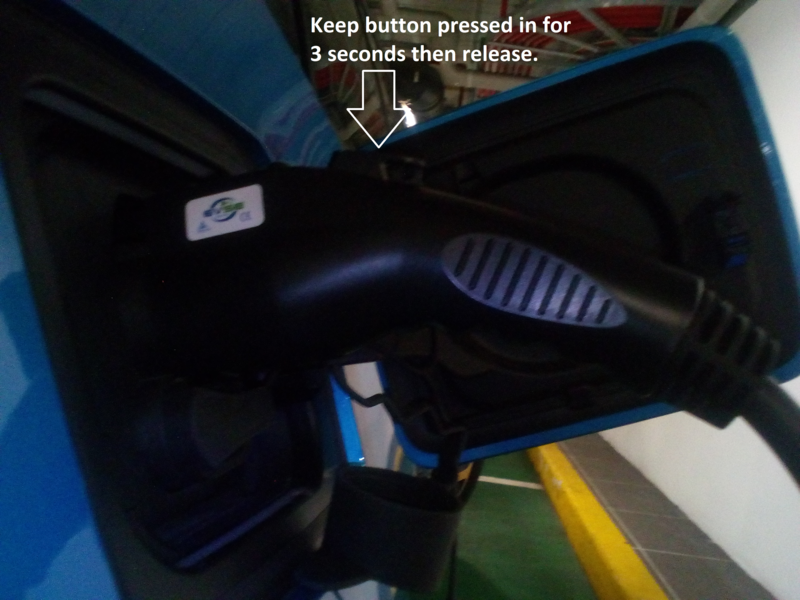 I tried two 3 phase Tesla destination chargers in Milawa Vic with a Tesla to anything (15 amp socket) adapter with the 10 amp (10.6 amp) Nissan supplied EVSE. They would both start OK but would only run for about 15 minutes and then trip out. ??? ??? ??? Perhaps next time I should bring the switchable EVSE and see what happens when set on 6 Amps or 15 Amps. Last edited by lopezjm2001 on Fri, 28 Dec 2018, 06:47, edited 3 times in total. 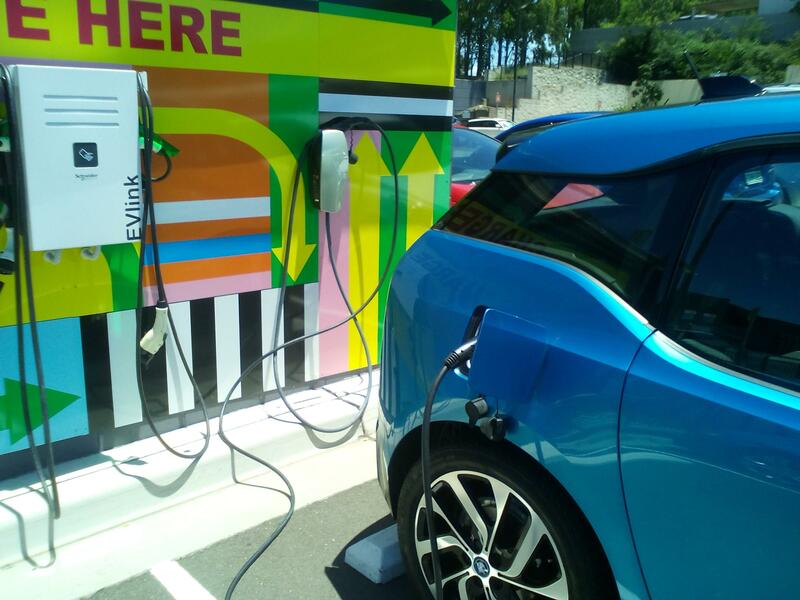 Today I charged my BMW i3 at Stockland Wetherill Park https://www.plugshare.com/location/130447 using my Type 2 to type 1 plug adapter. Once again I got the error "Mains power too low". So I tried doing it with the doors locked and it did not work. Then after some persisting stuffing around I found that it would work if I pressed the type 1 plug button in and keep it pressed in for about 3 seconds during and after plugging into the BMW i3 and it worked and the Tesla charger charged my BMW i3. It seems to be a timing issue of the Tesla communications protocol. See photos. Last edited by lopezjm2001 on Mon, 31 Dec 2018, 21:36, edited 2 times in total. I just charged up at Rouse Hill Town Centre car park https://www.plugshare.com/location/17075 on a Tesla charger. Worked ok. I have installed a meter to the type 2 to type 1 plug adaptor cable to read the current and power drawn. 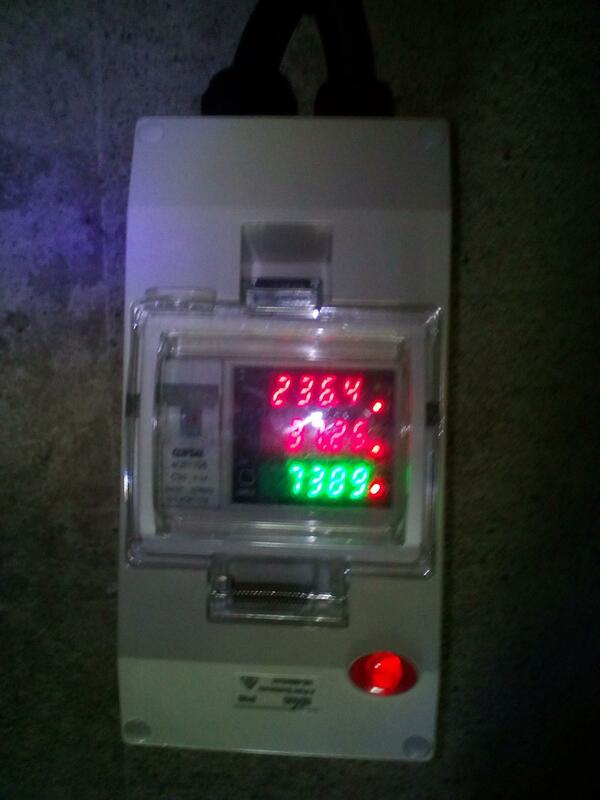 As shown it was drawing 31.26 amps, 7.3kW at 236.4 volts.